The Brookhaven Fair returns for four consecutive weekends, including Memorial Day, to the Pennysaver Amphitheatre at Bald Hill. Fair is open for four weekends including Memorial Day. Farmingville, NY - May 27, 2016 - The Brookhaven Fair returns for four consecutive weekends, including Memorial Day, to the Pennysaver Amphitheatre at Bald Hill, providing the best in family entertainment and will include the Fearless Flores Thrill Show from ‘America’s Got Talent,’ award-winning illusionist Lance Gifford, a Las Vegas hypnotist show, a huge carnival midway and more. Fair gates open at 5 p.m. on weekdays and 1 p.m. on weekends at the Pennysaver Amphitheatre at Bald Hill, CR 83 in Farmingville, N.Y. The Fearless Flores Circus and Thrill Show, semi-finalists on the blockbuster television show, “America’s Got Talent,” will perform several of its death-defying shows each day, including motorcycle madness in the “Globe of Death” and more. 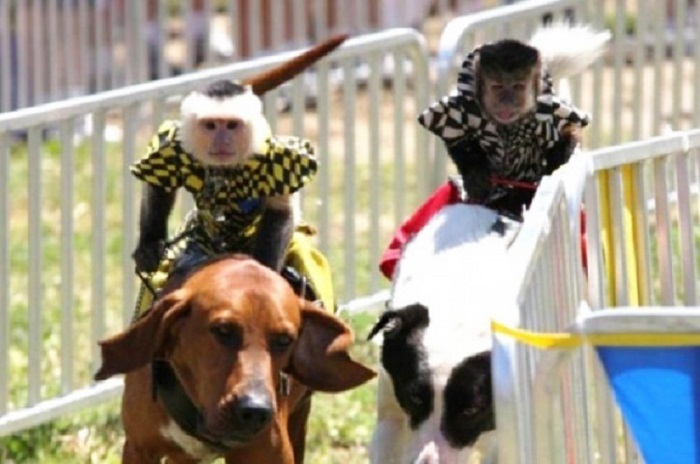 Returning to Farmingville is crowd favorite the Banana Derby, a race where monkeys dressed in jockey outfits race trained dogs around a track. 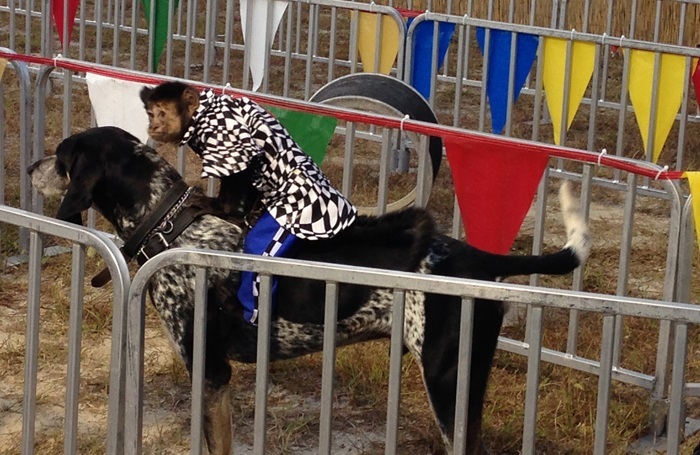 Fairgoers may even meet the monkeys up close and personal after the races, which are held several times each day. Award-wining Illusionist Lance Gifford, who has toured much of the U.S. and Canada, will amaze fairgoers with his fast-paced and highly entertaining magical illusion show. He and his company perform some of the world’s most amazing illusions including the “Metamorphosis,” once performed by the late great Harry Houdini. Some of the “family members” in his troupe include doves, rabbits, a chow chow, toy and standard poodles, a Macaw parrot and Burmese python snakes. Gifford’s show can be seen live at the fair several times each day. On Friday and Saturday nights at 10, the must-see Las Vegas hypnotist show will make believers of the audience. One big, burly man is convinced he’s Beyoncé, and other fairgoers believe it’s sunny at night or that it’s snowing during summer. The fair also features a large petting zoo where attendees will see llamas, a Texas Longhorn and dozens of creatures normally only found in the best zoos in the U.S. This attraction is open during all fair hours. Also available at the fair for a small additional fee are pony rides. No fair would be complete without delicious fair food. The Brookhaven Fair has all fair favorites like funnel cakes, zeppoles, Italian sausages and peppers, chicken on a stick, candy apples, popcorn, pizza and more. 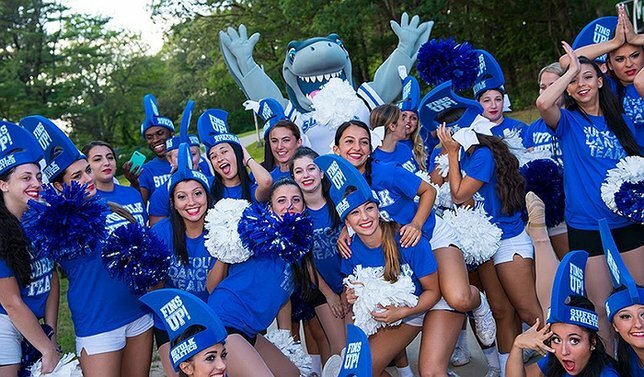 Strates Shows will be providing a spectacular array of amusement rides ranging from high-speed riders for thrill seekers to exciting rides for the little ones. More than 40 rides, games and attractions will be onsite, including a 130-foot Giant Wheel, the Himalaya, the Sky Flyer and the Fireball. Fair gates open at 5 p.m. on Fridays and 1 p.m. on weekends. Admission to the fair is as low as $4 per person with two-for-one admission discounts available online at www.brookhavenfair.com. Pay-One-Price unlimited rides wristbands are also available at a discount through the website or at select Walgreens stores before the start of the fair for $20. Individual ride tickets may be purchased at the event. All shows are free with fair admission. For more information, visit www.brookhavenfair.com or email. Subject: LongIsland.com - Your Name sent you Article details of "Brookhaven Fair Opens Tonight!"